Design Hours: What Sets Castle Brook Builders’ Omaha Custom Home Building Experience Apart! Designing and building your own custom home involves a lot of design decisions, from the style of the house itself to the fixtures and finishes. Castle Brook’s model homes are designed to inspire you – and once you’re inspired, our included Design Hours will help you make selections to craft your very own unique custom home in Omaha. The Design Hours allow you to have the opportunity to go to our partner vendors and make new selections, as well as choosing selections based on our model homes. Shelly will use her design expertise to make recommendations and help you pull together all the details of your custom home design – in line with your style, your family’s needs, and your budget. Once your Castle Brook custom built house is completed, Shelly can help you with everything you need to make your house a home: from finding and choosing furniture, art, and window treatments to landscape design. Your design hours are included with your home purchase to use however you want, during any part of the design-build process! 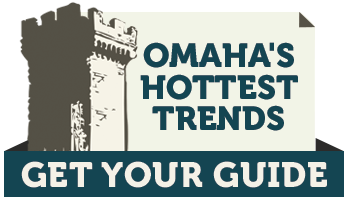 Every step of the way, Castle Brook Builders helps make your Omaha custom home uniquely your own. Customer service is our first priority — and our professional design team is here to help every step of the way.